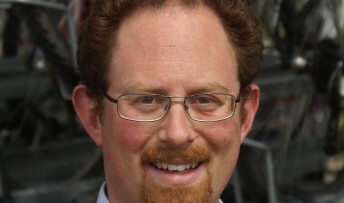 Cambridge MP Julian Huppert has pushed for ring-fenced funding for restorative justice to cut prisoner numbers and re-offending. He raised the issue in the House of Commons today (Tuesday, November 13) referring to a Cambridge University study which showed that £10 could be saved on the cost of crime for every £1 spent on restorative justice. Julian welcomed news from Justice Minister, Damian Green that the government is to publish a framework for restorative justice and introduce legislation to put it on a statutory basis. And Julian asked: “Will he ensure there is ring-fenced funding for restorative justice as well as putting it on a statutory basis? Mr Green said: “We are already investing over £1.5 million in helping to build capacity in for dealing with restorative justice in the criminal justice system and in particular to pre-sentence restorative justice. Julian said later: “I am encouraged that this government understands the importance of restorative justice in cutting prisoner numbers and re-offending rates. “By encouraging courts to consider adjourning sentencing for a period so that a restorative justice conference can take place we can avoid short prison sentences and save taxpayers’ money. we are a chartiy who are able to run Restorative Justice conferences and processes in young offenders institutes. In the area we live in RJ does not take place in YOI’s. it takes place in adult prisons and in the community. the YOI’s and the local police force are willing to work in partnership with us, but wie have no funding! Who can help us? We estimate we need £68,000 per annum.